I like a bit of raunchy and from the time I heard AZEALIA BANKS' "212" it was LOVE! The way she spits her naughty, raunchy lyrics is pure fire. I feel like I dare to ask you, "What you gon' do when I appear? I'm a rude B* ... what are you made up of?" LMAO. I've shared it numerous times on FB. And the previous post on "Childish Gambino" brings me here. 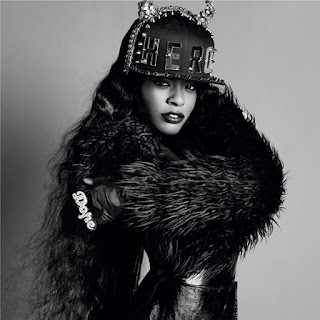 Azealia is a rapper and singer from Harlem, New York, and was recently signed to Universal Records, since discovering her "212" song. Her next single looks like it will be "Liquorice" but you've got to hear Azealia's cover of indie group, Interpol's "Slow Hands".